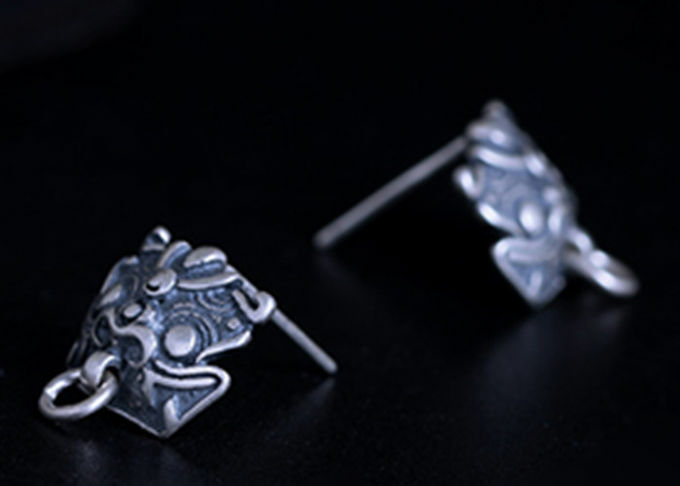 925 Sterling Silver stud earrings in lion head style. 1. What does S925 mean? 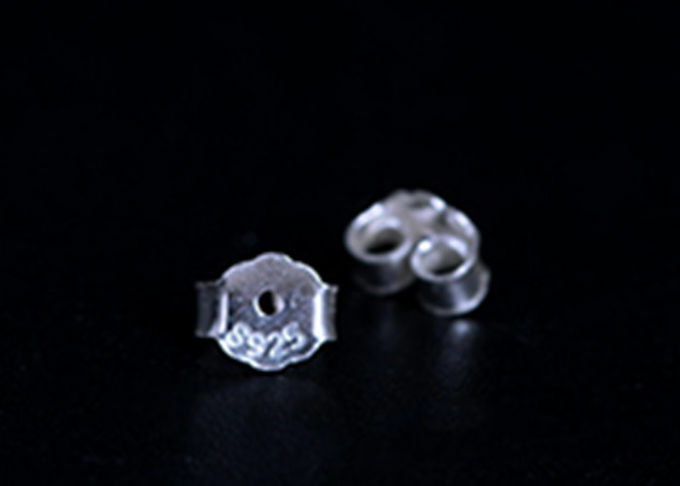 S925 means the purity of siliver is 92.5%. 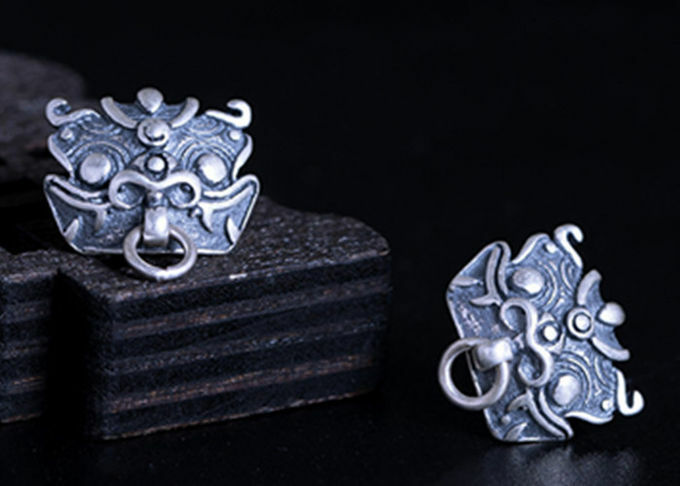 It has ideal hardness, gloss and non-oxidation, and it can be set with various jade. 2. 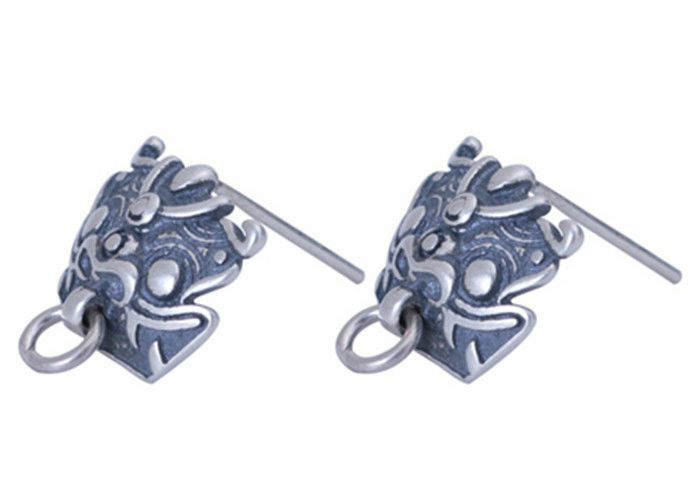 Why does the silver jewellery come to be black after wearing for a long time? b. 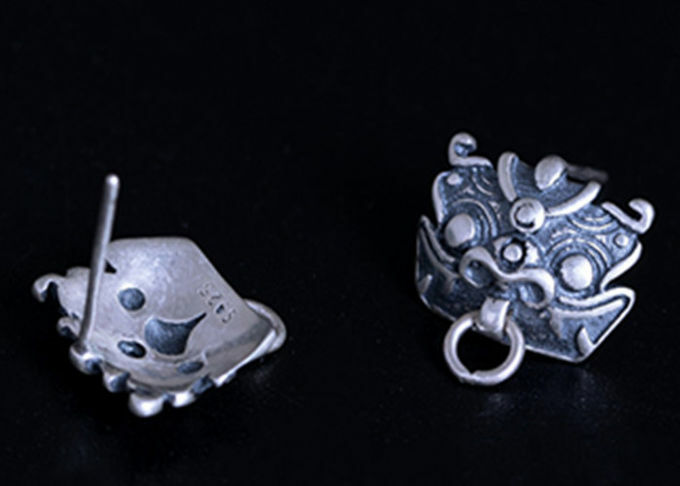 It generates the molecular reaction when silver meets the elements of body. 3. 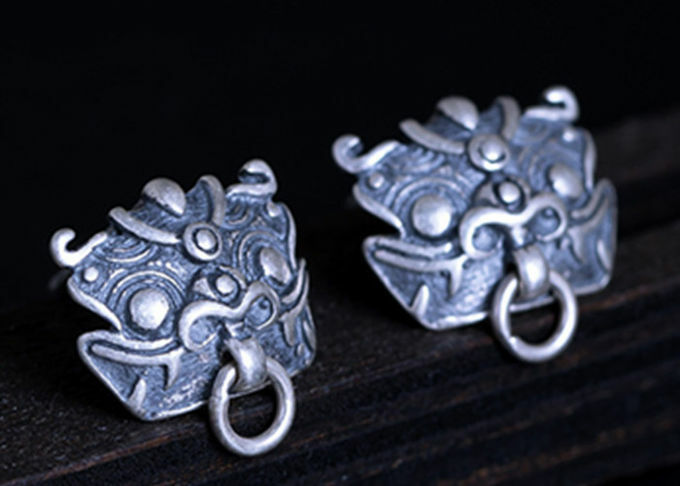 How to deal with the blackened silver jewellery? a. 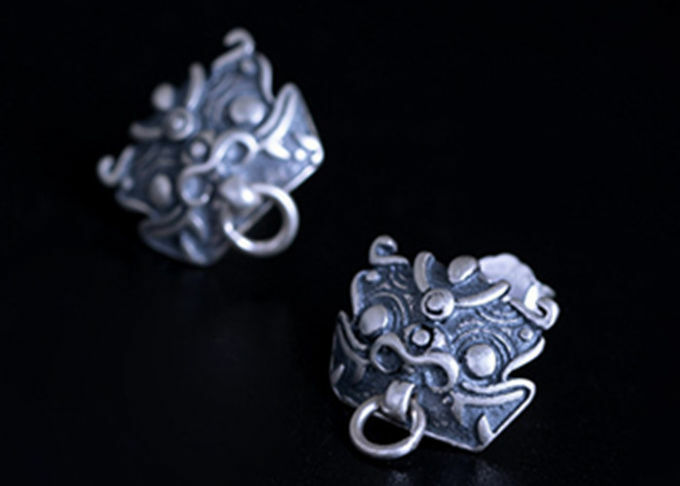 You can try to smear a little toothpaste on the surface of the silver jewellery, scrub it with warm water with a toothbrush, and then dry it with a full woolen velvet. 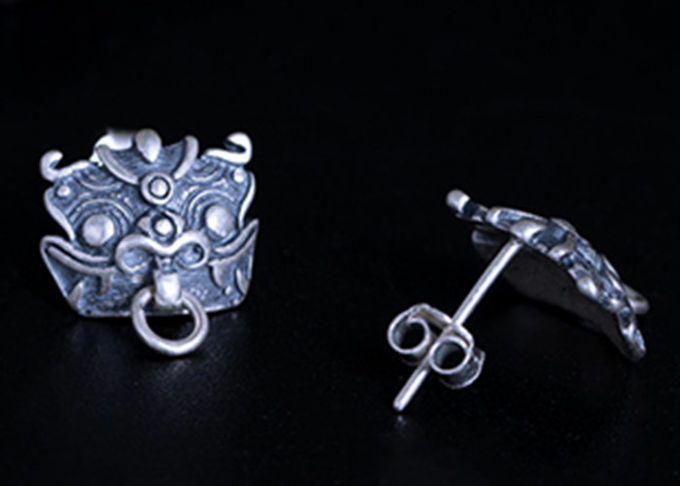 b. Wash the silver jewellery by the solution which is mixed by warm water and washing powder, wet it with a phosphoric acid solution, and then wipe it with a flannel to make the silver jewellery more clean. 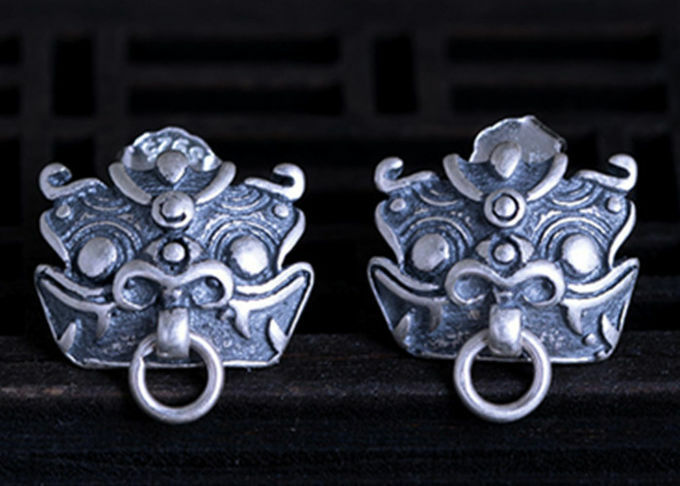 c. Using silver cloth is one of the most quick and convenient ways; the silver cloth contains silver maintenance ingredients. It can not be washed by water, and can be used for many times.